When perusing the market for a portable Bluetooth speaker, you’re going to need something that can blast your beats all day long with crystal clear quality. You’re also going to need something that looks as good as it sounds, and is just as portable. 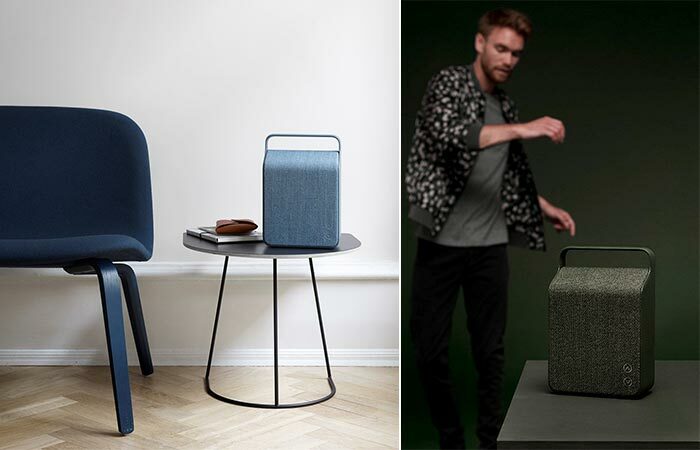 Well, to answer that need, we are proud to feature the Vifa Oslo Portable Speaker. Designed to be the pinnacle between aesthetics and functionality, the Vifa looks as good as it sounds. No matter where you use it, it will bring life to the party. The Vifa Oslo was designed to look as good as it is functional. Coming in a variety of colors, it will suit your every need and sense of style. The Vifa also focuses on connectivity; it allows your smartphone and other devices to connect directly via Bluetooth. It also comes with an auxiliary cable for when you want to save some battery. In addition to this, Vifa will never let you skip a beat with its Force Balanced Woofers that are powered by a Digital Pure Path Amplifier. It also offers premium sound by utilizing a DSP crossover that produces low distortion with superb precision. Check out the video below. The Vifa Oslo delivers premium sound quality thanks to its force balanced woofers that are powered by a digital pure path amplifier. 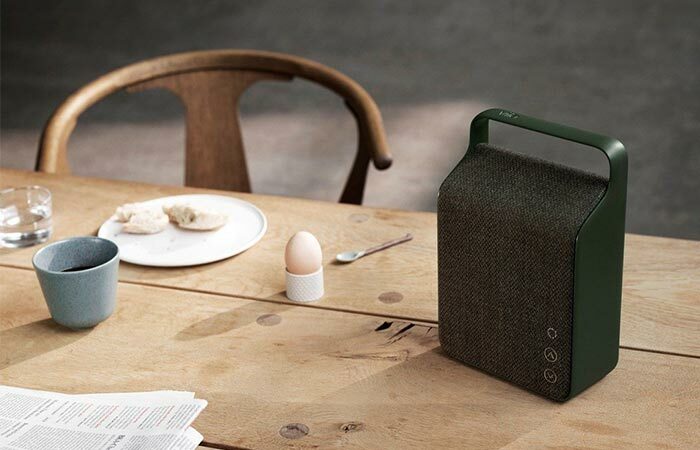 The Vifa Oslo also comes with a unique woven wool cover that gives it a superior feel and look. The wool cover is designed by Kvadrat, and is woven in a unique and specific pattern. The carry handle makes it easy for you to take it with you as you groove on the move. The Oslo measures in at 10.6 x 3.5 x 7.1 inches and weighs 5.3 pounds. It will also supply you with about 8 hours of battery life, and is available in a variety of colors.